Rent a car in Cypus and see the beauty of Polis and Latchi area. The Akamas National Park lies on the west coast of Cyprus, a truly magical part of the island and remains untouched by development. It has an area coverage of 230 square kilometers containing valleys, gorges and wide sandy bays. The wildlife diversity is crucial for the ecology in the Mediterranean. In this spectacular environment there are 168 varieties of birds, 20 different reptiles, 16 species of butterfly and 12 different mammals not to mention its very rich variety of fauna. 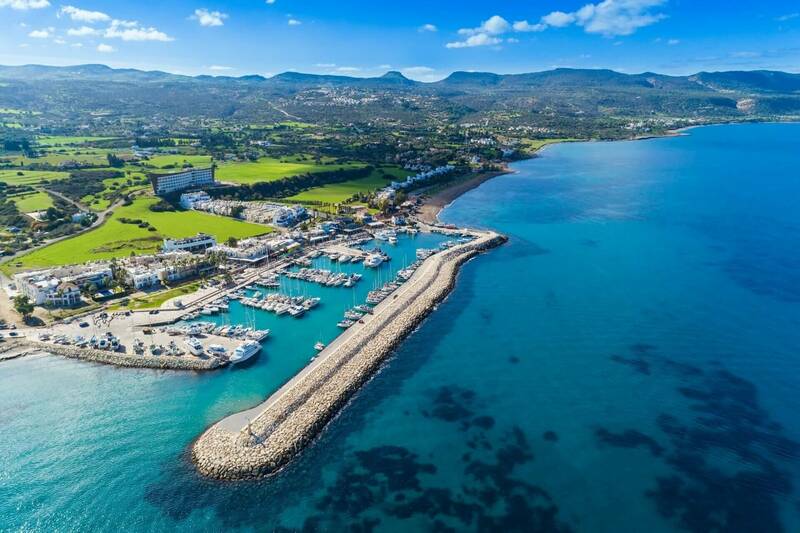 The important significance of the Akamas Peninsula has been duly noted; The European Council has included it in its Mediterranean Protection Programme. The Cyprus Government has yet to fully declare it as a National Park for tourist and local landowners reasons, although friends of the Earth and Green Peace are lobbying hard for it. It is a MUST for any keen walker, mountain biker and heaven for wildlife and flora. In the past few years due to its ever-growing facilities and amenities, Latchi has become a favorite stopping point after the Greek Isles and Turkey. Latchi is a small port in Cyprus where the fishermen bring in the fresh catch of the morning and supply those who are fortunate enough to have got up early that day. Taverns litter the dockside offering the local specialty “Fish Meze” and at a very affordable price, unlike some of the other harbors around the island. Take a stroll along the marina on sunset, enjoy glass of cool wine and just watch the world go by. Neo Chorio is a short drive from Latchi, and is the entrance to Akamas area. It offers a number of places to eat, and lots of different types of accommodation and holiday villas in the area. It provides stunning views of the coast and the Akamas. 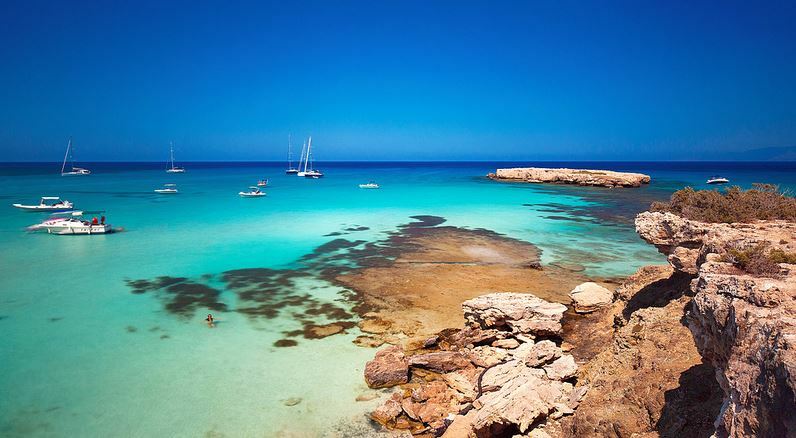 It is claimed by some of the locals that the land here is the most expensive in Cyprus. Here you can see the old houses restored in traditional stone ; watch the old ladies weaving in the traditional way or visit the village pottery shop. Blue lagoon is the most popular place of Akamas and thousands of people visit it by boat every year. The crystal blue waters in this small bay are so clear, you can see all the way to the underlying sea bed. The water in this area of the Akamas Peninsula is so inviting and refreshing you will want to swim in this beautiful environment or go snorkeling and look around you underwater for meters on end. You can book an organised trip with a BBQ lunch cooked on board at the harbor – or hire a private speed boat – it’s good value for a small group. Splash about in the warm waters of the Mediterranean indulging in all kind of water sports. Go water skiing or wake boarding, water ski,sea-kayaking or just bounce along in the wake of the boat on a donut or a banana. The steady predictable westerly winds make it a great place for windsurfing, or sailing and you could also try your hand at kite surfing. This route is in the north-western part of Cyprus. It is of unique interest, as it is not devoted exclusively to wine. 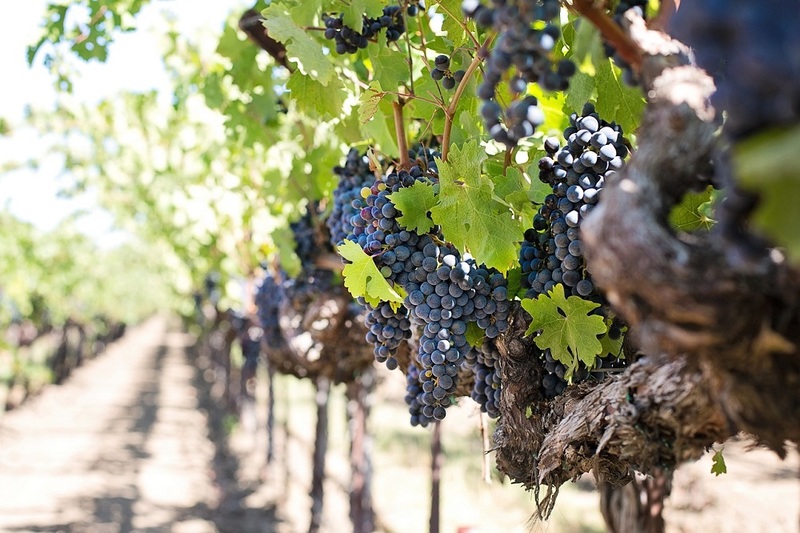 In this area, the wine lover and the gourmet can visit four wineries and taste their varied and individualistic wines, in combination with the tasty specialties of Cypriot food. Taverns, of which there are plenty along the route, will be sure not to disappoint. Together with these delicious attractions, the visitor may enjoy a unique geography, unlike anywhere else on the island. Travel along the main roads E701 and E709, which climb to elevations providing some fascinating views, with various greenery, substantial expanses of forest and a liberal lacing of vineyards combining to attract our attention. The outstanding feature of this unique wine zone is the Akamas peninsula. The diverse characteristics of the Akamas morphology, the flora and the wildlife rightfully make it a rare habitat. The visiting explorer/wine-lover truthfully has a feast for the eye, the ears, and the taste-buds. The areas near the small villages of Pomos and Pachyammos are majestically beautiful and the mountains lead straight into the sea. Pomos village, hanging on the cliffs of west coast Cyprus, lies about 20 km afar from Polis Chrysochous, on the way to Akamas nature reserve. It is a laid back village very peaceful and quiet. It is ideal for those wanting to live the authentic Cyprus way of life, away from the hassle and bustle of tourist’s resorts. This tranquil and calm area prides itself with amazing views of the coastline and sandy beaches, making it the ideal place for rest and relaxation. Pomos is one of the remaining unspoiled and undisturbed areas of Paphos. An ideal location to get away from it all. The main point of interest is the impressive church of Agios Rafael in Pachyammos village, an important pilgrimage site for the faithful due to the belief in the miraculous curing powers of the saint. In Peristerona village you can visit the Peristerona gorge – spectacular views and great for scrambling! The Byzantine museum – beautiful icons from around the area, all kept in a climate controlled environment to protect them – some are over 600 years old. The Evretou dam – the largest irrigation dam in the area is located just below the village and also the new museum in Steni en route to Peristerona. Explore the Akamas on a guided hiking tour or the tranquil pine forest above Argaka, Mountain biking or go karting at the circuit between Polis and Argaka. Also you can take a picninc and drive to one of the forest picnic sites: Agios Merkurious – near Argaka and the Makounta dam, Livadi – situated above Pomos village and Smigies – the most popular picnic site, near Neo Chorio on the Akamas peninsula. Or just indulge yourself at the only Paphos spa using natural spring water – Ayii Anargyri Natural Healing Spa Resort, which is channeled into three treatment pools, for kinesiotherapy, rheumatology and phlevology. Their medical spa treatments are intended for conditions such as arthritis, rheumatism, gout and joint pain. On top of that you book for a massage, facial or body exfoliation. The beautiful surroundings and marvellous sunsets and sunrises make this area a special place for holidays. The best sunset experiences in Polis region, in specific areas such as Akamas Peninsula, Latchi Beach, Argaka Beach, Droushia village and Neo Chorio village. 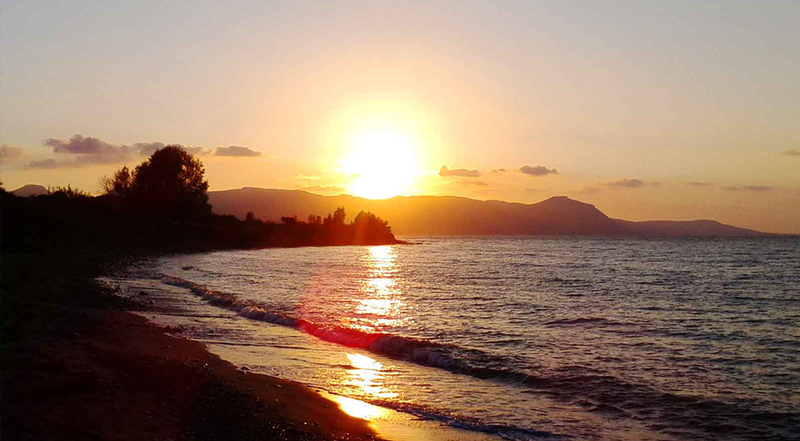 Another favourite for a sunset view is the coastal area of Pomos & Pachyammos villages.